According to a Bell Pottinger insider, propaganda films were categorized into three categories with “White" being accurately attributed, “Grey" being unattributed, and "Black" being falsely attributed material. The media firm created various types ofcontent ranging from TV commercials to news items and "fake Al Qaeda propaganda films..."
Seems that reality is even more interesting than any fiction that Hollywood can conjure up. The multi-billion dollar vaccination for Anthrax that the DoD has required many of its personnel to receive may be one of the largest scams in recent history. Despite numerous congressional inquiries, the program being shut down on multiple occasions, and scientific peer reviews questioning its ability to protect in an actual anthrax attack, the vaccine — called BioThrax — received another round of funding worth $1.25 billion in 2013. The company had a former Joint Chiefs of Staff chairman among its founders in 1998, and has spent more than $20 million on lobbying efforts — often being accused of strong-arming any emerging competition. Despite the DoD dropping them dolla-dolla bills on the vaccine, and serious side effects suffered by some military personnel who have taken it, there has never been any notable anthrax attacks on any entity in the Department of Defense. 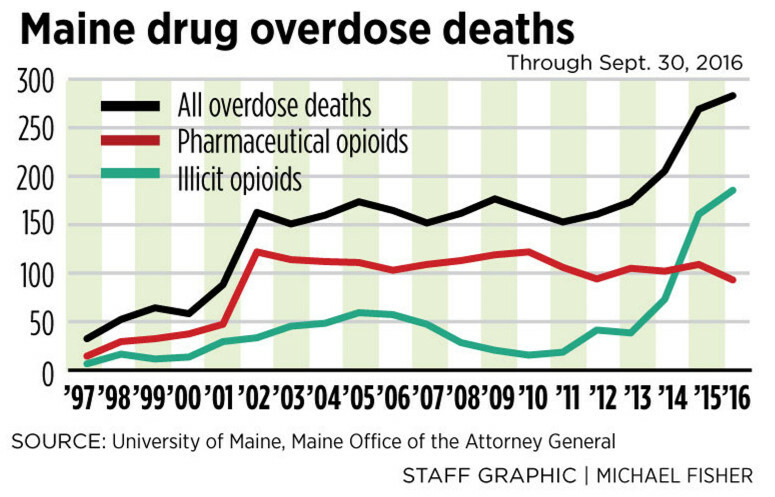 By the end of 2016, Maine overdose deaths totaled 378, and the black and green lines were a lot steeper. The black line was off the chart (literally). Also note that overdose deaths from prescription (legal) narcotics have actually been stable, and fallen a little, since 2002. Legal drugs are not a factor in the staggering increase of deaths. While the use of legal narcotics definitely needs to be minimized, and while legal narcotics continue to be diverted and used illegally, the epidemic of opioid deaths is due to Afghan heroin and (probably Chinese) fentanyl, which are not being prevented from entering the US. 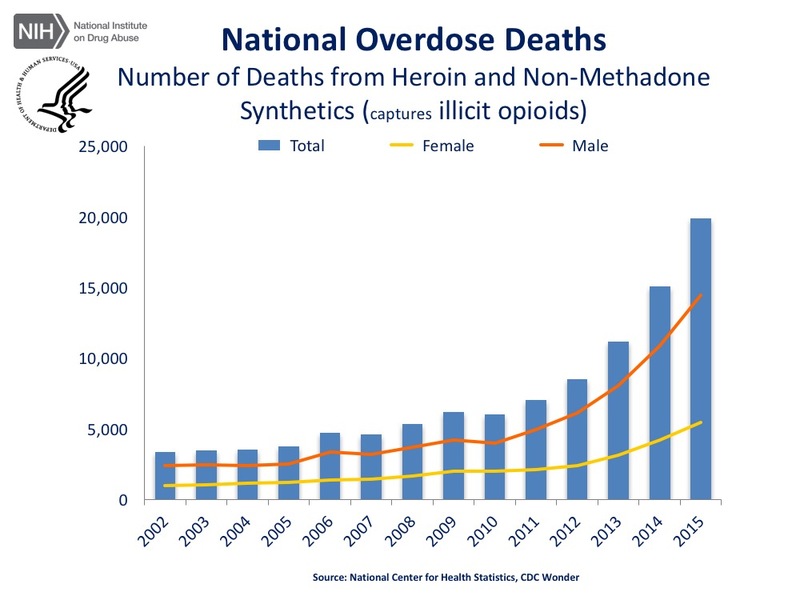 https://www.drugabuse.gov/related-topics/trends-statistics/overdose-death-rates ​National Overdose Deaths—Number of Deaths from Heroin. 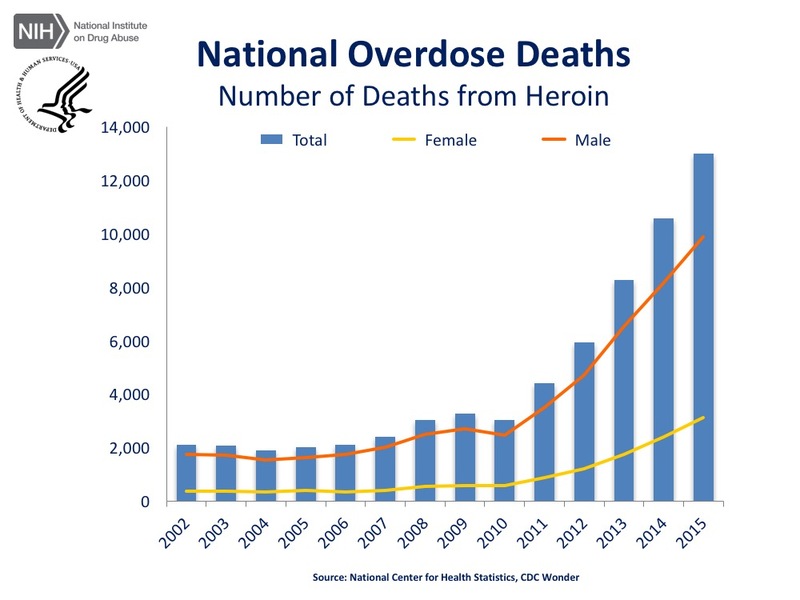 The figure above is a bar chart showing the total number of U.S. overdose deaths involving heroin from 2002 to 2015. The chart is overlayed by a line graph showing the number of deaths of females and males. From 2002 to 2015 there was a 6.2-fold increase in the total number of deaths.